Already visionary, the first Ferrari badged car, the 125 S ,was born in 1947, instantly snatching victory on the Piacenza racing circuit. For 70 years, Ferrari has been producing cars of inimitable style that are symbols of Italian excellence around the world. The brand never ceases to fascinate. Italy may be thousands of kilometers away, but South Africa is nevertheless one of the countries with the most fans of the brand’s red rockets with nearly 15% of annual Ferrari sales. 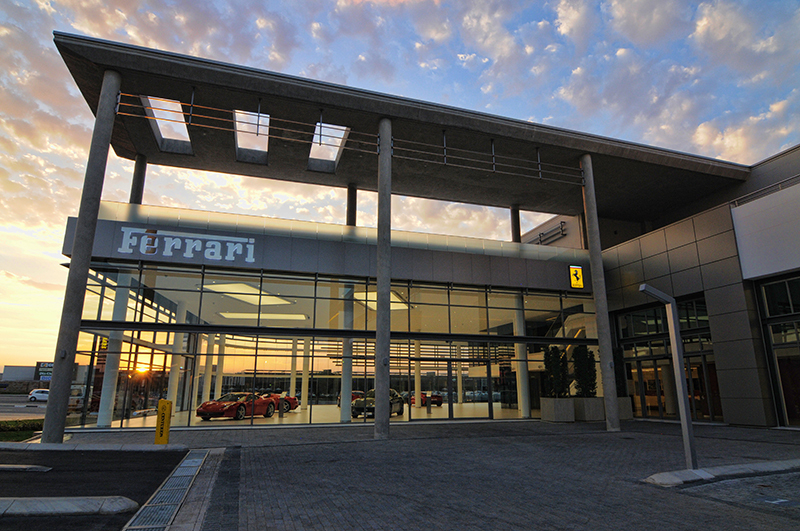 The Ferrari line was previously sold through the Viglietti Motors dealerships in Johannesburg, Cape Town and Durban, but that changed in March 2015. The automaker hosted the grand opening of its brand-new showroom for 500 connoisseurs to present its most beautiful models and treat its most ardent South African admirers to an exclusive experience. The heart of Ferrari beats in the small town of Maranello, between Parma and Bologna. The Ferrari workshop right in the heart of the city is a local monument. 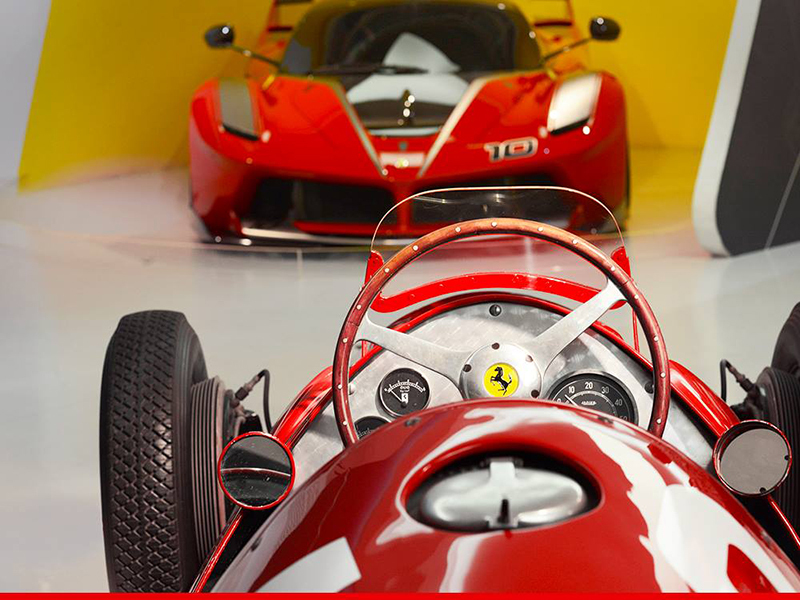 Fans make pilgrimages to Maranello, which attracts owners, admirers and the merely curious who are eager to trace the footsteps of Enzo Ferrari. Visitors to this temple devoted to the brand’s beauties are greeted at the entrance by a giant, prancing silver horse that embodies the dream and the air of Ferrari. 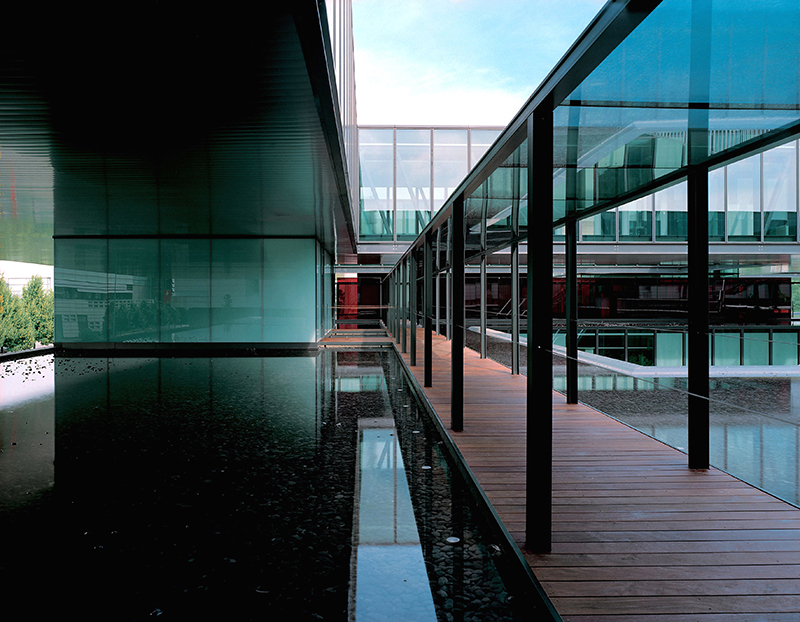 A trip to Maranello is as interesting for Ferrari lovers as for architecture connoisseurs. The wind tunnel designed by Renzo Piano is like a cathedral; this is where the cars are tested to perfect their aerodynamics. The equally stunning assembly line was created by Jean Nouvel. 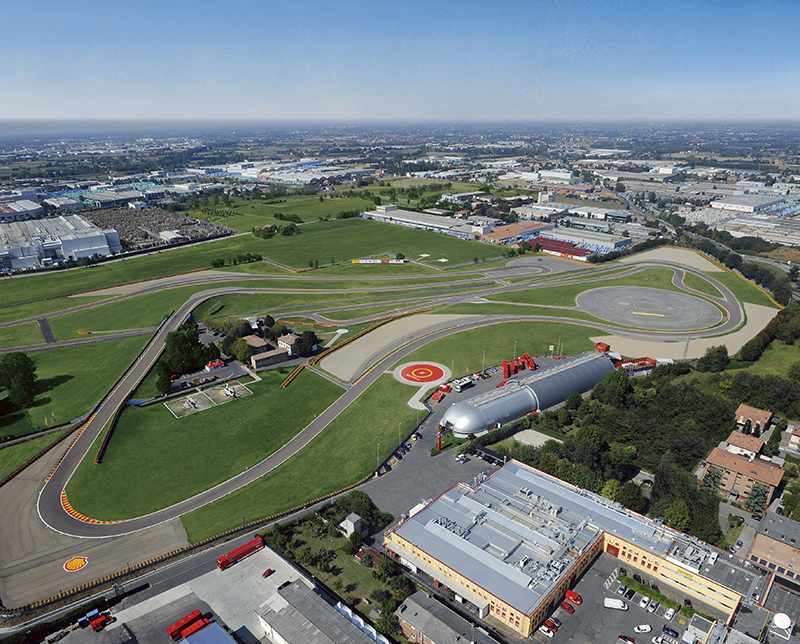 The mechanics workshop, development centre, customisation unit, paint shop and logistics centre that handles the Scuderia’s racing operations – irretrievably intertwined with the brand’s history – all make this an extraordinary place to visit. While a backstage factory tour is reserved for a very select few, the Galleria is open to all so you can ogle rare and legendary cars. Just look at those sublime Enzo anniversary models! Plus check out concept cars and vintage posters or take a spin on the world’s greatest circuits in one of the simulators. 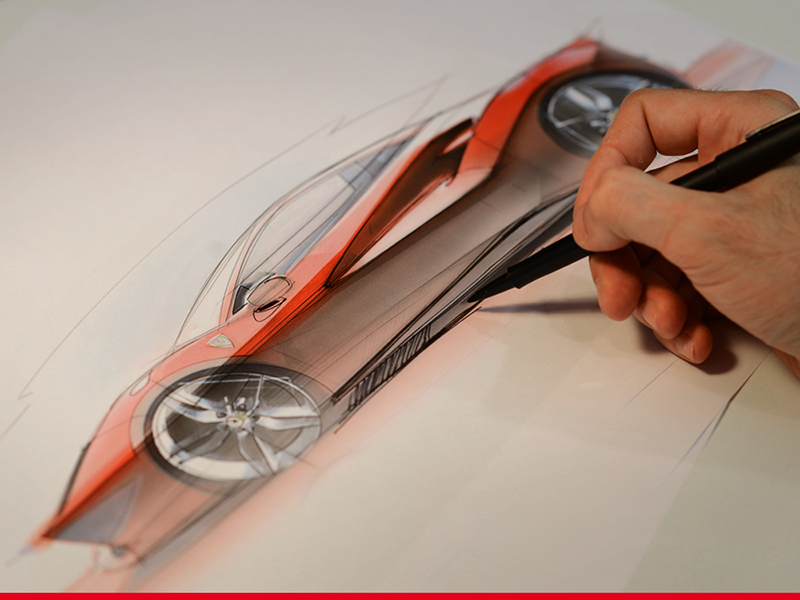 Close your eyes for a few minutes and imagine you can be to Maranello. There, customise the Ferrari of your dreams and leave for a fabulous ride across the charming winding Tuscan roads bordered by centenarian olive trees and prestigious vineyards. From Florence to Siena, can you hear the engine purring? Can you feel the vibrant power in your hands? What about a stop for a glass of Chianti and a plate of truffled spaghetti? La “dolce vita” is matching so well with your Ferrari. 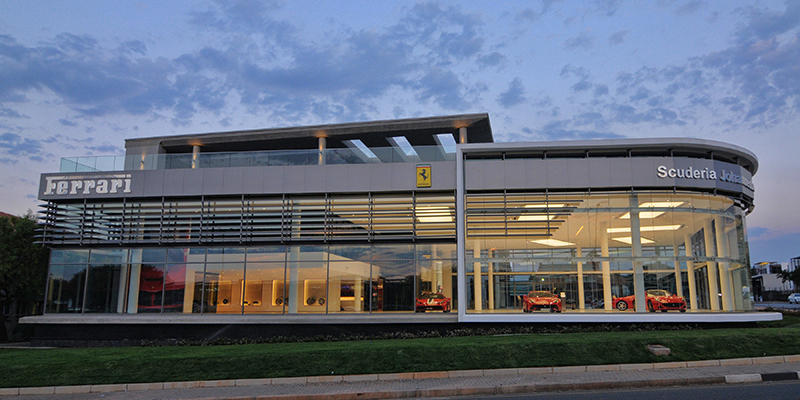 In South Africa, Ferrari now struts its stuff in Bryanston, a chic residential neighborhood in Gauteng Province north of Johannesburg. The Italian brand’s racy models are right at home here thanks to their exploits in the 1970s at the Grand Prix held at the nearby Kyalami circuit – which was known as one of the fastest of its day. Back then it was the prodigious Formula 1 champion Niki Lauda at the wheel of the brand embodied by a rearing stallion. Later, in 1979, it is precisely a South African driver, Jody Scheckter, who distinguished himself with his 312T4 by winning the title of World Champion ahead of his Canadian teammate Gilles Villeneuve. This legacy is now incorporated in the 3,500 m2 showroom divided into four oors. This steel and glass marvel is a thoughtful architectural statement that underscores the Italian air for elegance and performance. The majestic, spectacular, innovative structure echoes the sensual, inspirational lines of the cars on display. In Bryanston, speed demons are invited to experience a real adventure and live out their dream with passion and emotion. They have access to new technologies to customize and view the options and trims they choose for the latest California T or 458 Speciale. Auto racing fans can come watch Grand Prix contests live on the giant screen. Owners and members of the Ferrari community will be invited to attend events and activities designed specifically to initiate them to a luxurious world and the brand’s values, history and culture. Like its counterparts in Milan, Rome, Venice, San Francisco, Miami, London and Dubai, the Johannesburg showroom has joined the ranks of the prestigious cities chosen by Ferrari to shine a spotlight on its iconic engines and appeal to a new generation of Ferraristi. Ferrari photo : Courtesy of Ferrari S.p.a.